Find a vacation home to rent in Balearic Isles from our list of vacation rental properties. Campaya has over 715 vacation homes available in Balearic Isles, which give you the possibility to locate a unique accommodation in Balearic Isles which completes your check-list in search for the perfect self catering vacation apartments in Balearic Isles or vacation villas in Balearic Isles. The last part of the road to the accommodation is unfortified. No groups allowed with participants under 30 years of age. This semi-detached holiday home is fantastically located near to the sea, on the beautiful east coast of Majorca. 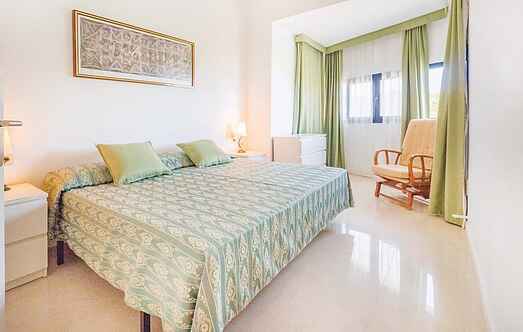 Enjoy a dream holiday in this well-maintained villa located in a quiet residential area outside Palma. This child-friendly finca in Majorca is located on a large plot in the middle of gorgeous nature. The house is well-maintained and invites to pure relaxation. The irresistible mountain village of Valldemossais is one of the most exclusive holiday destinations in Majorca. This new, well-lit holiday home on the edge of a small mountain village with its typical Mallorcan stone facade is very impressive. This bright and homely Spanish villa has a well-maintained garden and pool area, ideal for guests to enjoy the weather outdoors. This is a luxury villa set in the Mallorcan countryside never fails to make an impression. This is a lovingly renovated and well-maintained finca in a quiet location, set in a huge plot of land.